MAJORS & MINORS: HUB Network’s Singing Contest for Kids! According to a “craigslist” post today, the Hub network is casting for a new singing competition show for children ages 8 -16. The best part is that they can apply online! 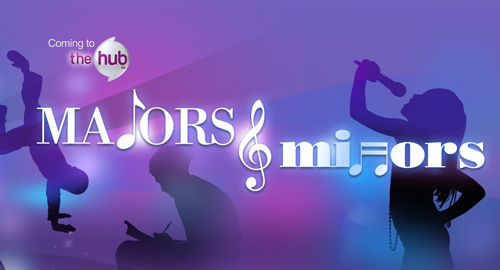 â€œMajors & Minors,â€ a groundbreaking new music-based 15-episode reality series premiering on The Hub network this fall will provide talented young performers the chance of a lifetime â€“ to be taught by the best of the best in the music business, giving them the direction and tools theyâ€™ll need to embark on their own journeys toward achieving their dreams. And the coolest part? No one ever gets voted off! This is not that type of show! Everyone who gets cast will leave better mentored for their own road that lies ahead. Still, one lucky winner will walk away with a recording deal with Sonyâ€™s RCA/JIVE Label Group, a music publishing deal, and the chance to become a featured star in a cross-country tour with the entire cast! and follow the VIDEO INSTRUCTIONS to submit your Audition Video! I am checking to see if this show is still taking videos if so I will forward my daughters video she is 12 yrs. old.